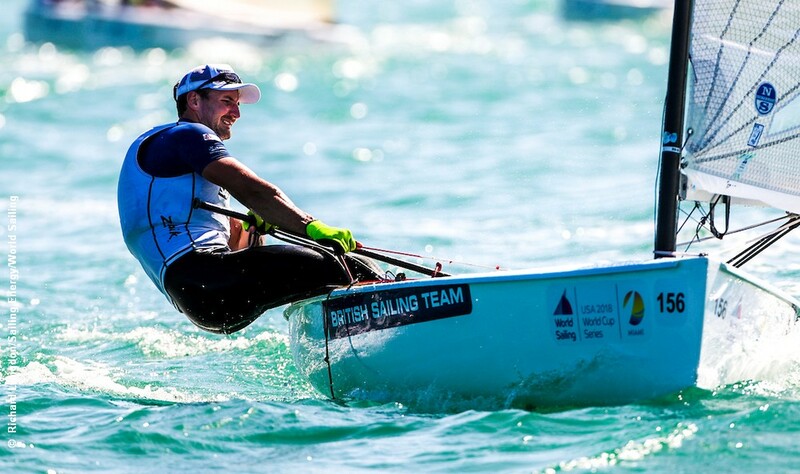 Giles Scott is joining the other British Finn sailors at Sail Melbourne, Australia’s premier Olympic and Invited Classes Regatta. Scott will join Ed Wright, Henry Wetherell and Ben Cornish in the Finn event, which also includes Nicholas Heiner of the Netherlands and Josh Junior of New Zealand. Scott has been racing recently with Ben Ainslie and the INEOS Rebels UK team at the Extreme Sailing Series grand finale in Los Cabos, Mexico, as part of the British America’s Cup team preparations for the AC36 event. He took part in the Miami Olympic regatta in January, where he took the gold, and in the Japan Olympic trial in September where he took silver behind Holland’s Nicholas Heiner. Scott did not compete in the 2018 Finn Europeans where Ed Wright took the title or at the Sailing World Championships in Aarhus, where Zsombor Berecz of Hungary took the Gold Cup title. Also taking part in the Melbourne Regatta is Britain’s Lorenzo Chiavarini in the Laser event, which includes Aussie Mat Wearn and Kiwi Sam Meech. Most competitors in Melbourne have arrived after taking part in the Sail Sydney Olympic Classes Regatta last week.